The XML or Extensible Markup Language is basically a document encoding set of rules and it is an open standard designed mostly for documents but also used for other data structures such as web services for example. The XML file type has been designed to be simple, usable and general oriented over the internet and has strong Unicode support for most of the World's languages. Because of these attributes it is common to find the xml standard under both application/xml and text/xml types in various programs. Currently there are 2 XML versions available; the original one named XML 1.0 dating from as far as 1998, and the second one XML 1.1 with some extended features aiming to make the format easier to use in some special cases like programming and API's. Despite the features presented the XML format has its own share of critics as most describe it and its extensions as being too complex in some cases to work with especially if it also involves using programming languages. 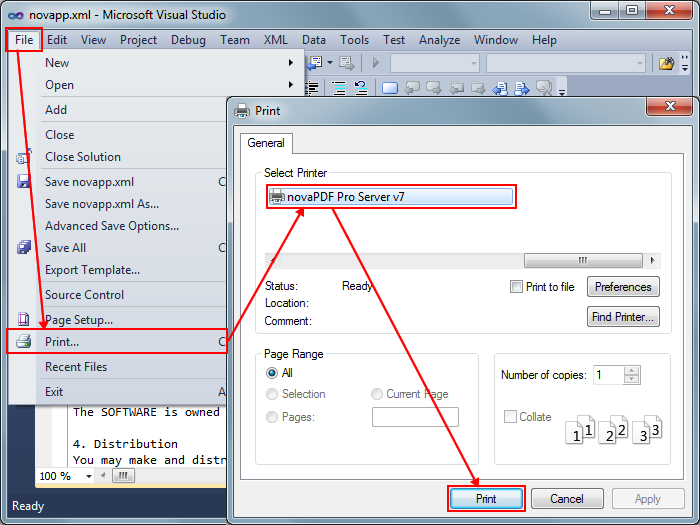 Due to the complexity involving the file type and the specific usage the portability of the XML is reduced. Indeed it can be opened and edited with most text editors however it is very specific in usage (programming, system design) and other people may not have the same knowledge on how to do it. A PDF however can be handled and shared successfully by anyone. 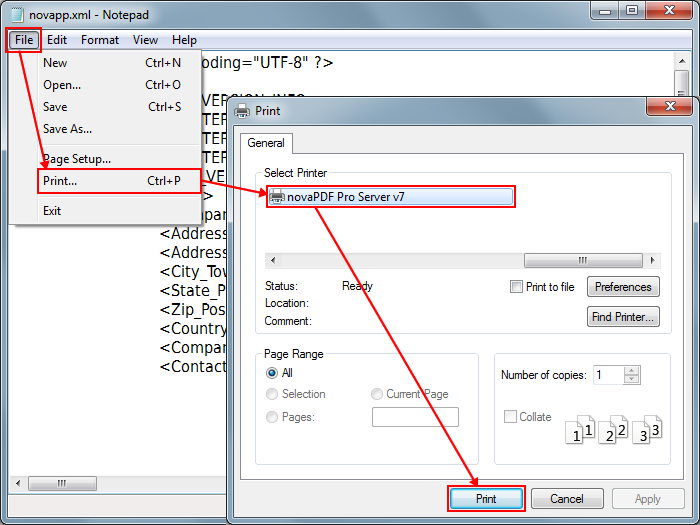 Also using novaPDF in the XML to PDF conversion can greatly improve the PDF with signatures, overlaying, bookmarks and watermarks, document information for online searching and more. 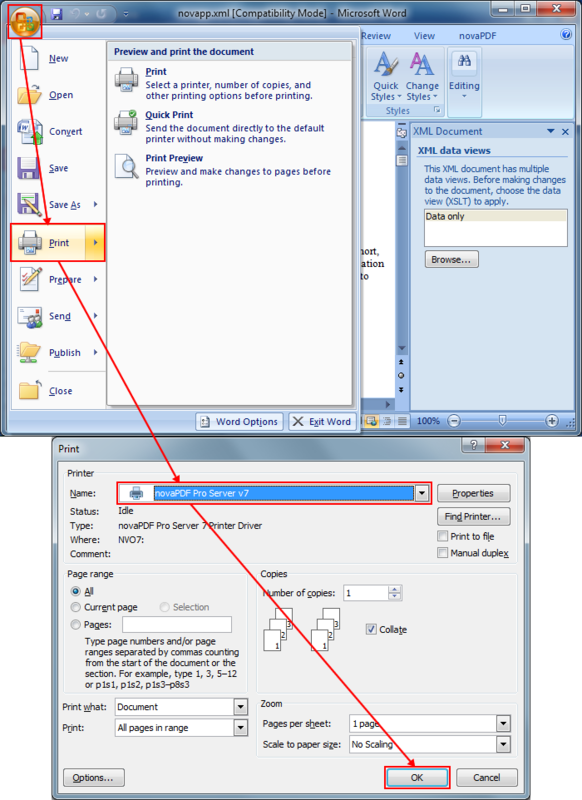 Click OK then OK again in the Save PDF File As window and the XML will be converted. Click OK, make any modifications in after save actions and click OK again to start the conversion.